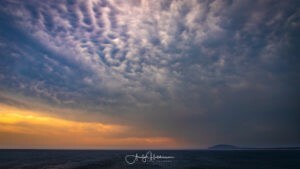 I tried and failed to photograph some lightning, but got some great storm shots and a terrific sunset as a consolation prize. 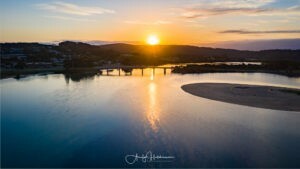 Our last evening of our long weekend in Bermagui and I headed out with the drone and the DSLR to capture the sunset in town over the river, inlet, lookouts, beaches and bar. 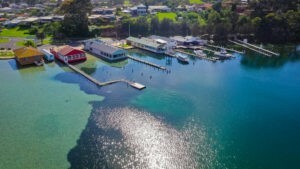 An amazing summer’s day in Narooma was the perfect opportunity to fly the Mavic 2 Pro and photograph Wagonga Inlet and Narooma. 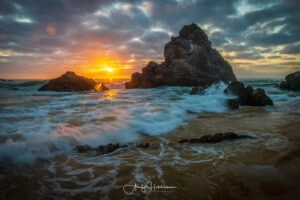 With good weather forecast and a bit of cloud for interest, I headed down to Camel Rock in Bermagui to catch the sunrise over this famous formation. 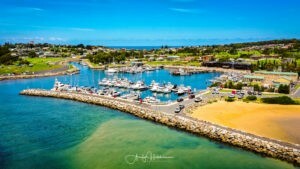 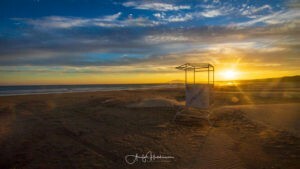 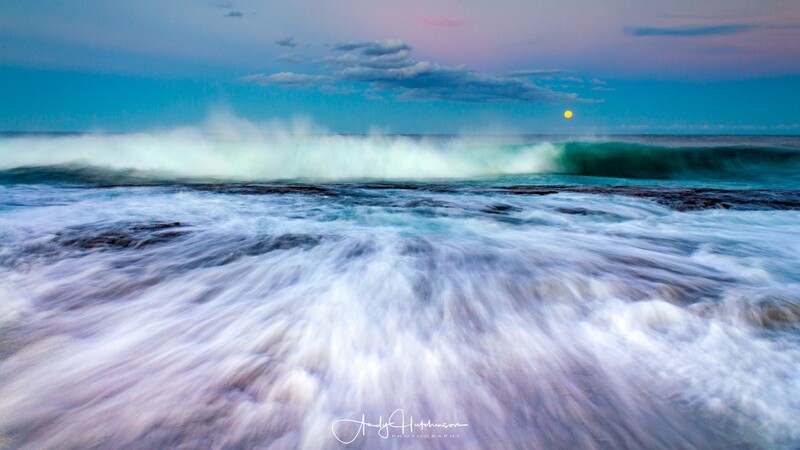 Located right at the northern end of the Sapphire Coast region, Bermi (as the locals call it) is the local centre for game-fishing charters and is blessed with amazing beaches, foreshore and landscape. 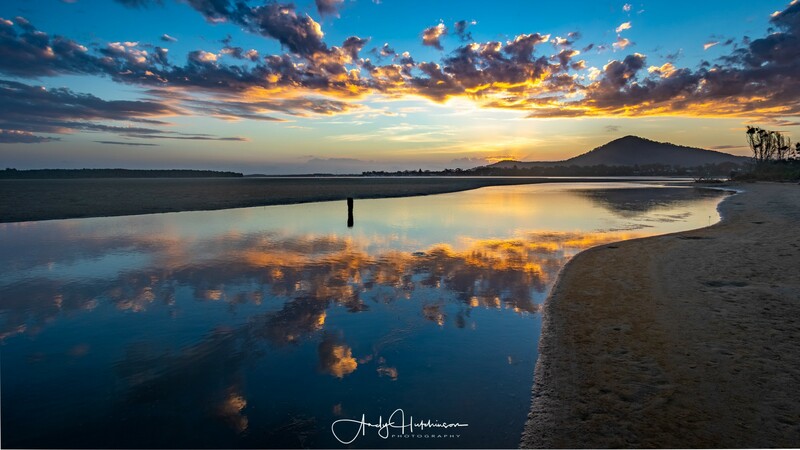 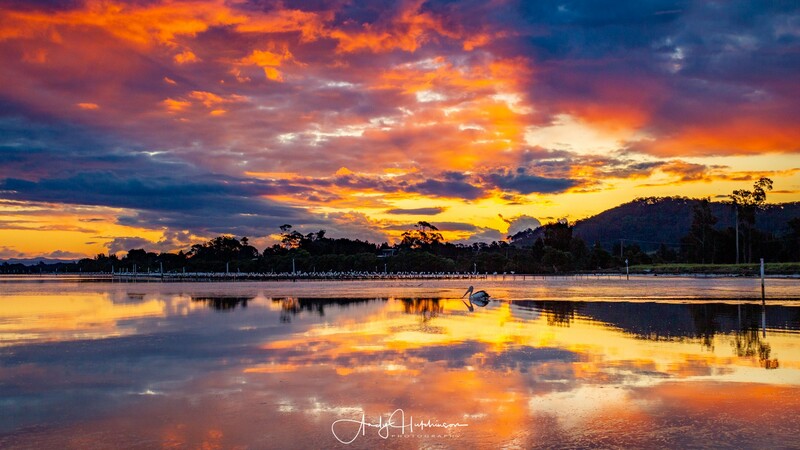 With loads of lovely high level cloud on the satellite image and a chance of some back-lighting, I headed down to Gerroa to photograph the sunset and caught an absolute beauty. 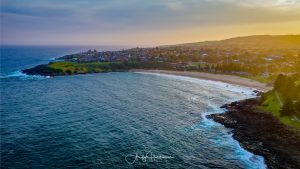 With light winds and a nice sunset forecast, I headed north to Kiama and flew the drone over Surf Beach. 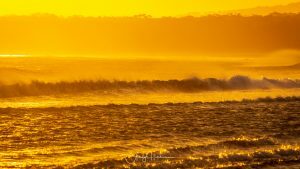 Windy evening at Gerroa, but Seven Mile Beach’s famous golden glow was in evidence. 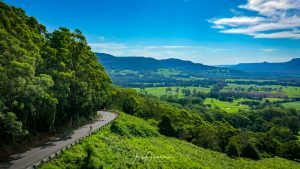 With the good weather returned I headed out with my trusty Mavic 2 Pro quadcopter and explored Kangaroo Valley during the heat of the day and the Shoalhaven estuary in the balmy evening.